Welcome to the HITCH family site. The Hitch Burger family is a spin-off of the Inland Empire’s popular Cowboy Burgers & BBQ. With a focus on deliciously diversified menu selections, fresh ingredients and giving back to our community and beyond. The Hitch Burger family aims to impact more than just your taste buds. Looking for something on the lighter side? Our best-selling Asian Chicken Salad is sure to hit the spot. Our freshness, authenticity, and taste set us apart from the rest. Drawing from traditional recipes out of Mexico, charbroiling local meats, serving fresh produce, and taking the time to slow-smoke our barbecue, ensures a delicious meal that is certain to please, every time. Learn More! Taking the Hitch concept throughout Southern California, Hitch Jr. will be a can’t miss restaurant. Serving lunch and dinner, Hitch Jr. will be your new local spot to grab a fresh burger and fries, or place an order to go. Celebrations are all about the food. 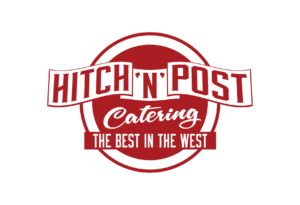 Hitch ‘N’ Post Catering will cater your next event to make sure you and all your guests are satisfied. By checking this box you hereby agree to hold “Client Name”, including it’s doctors and affiliates, harmless from any hacking or any other unauthorized use of your personal information by outside parties.